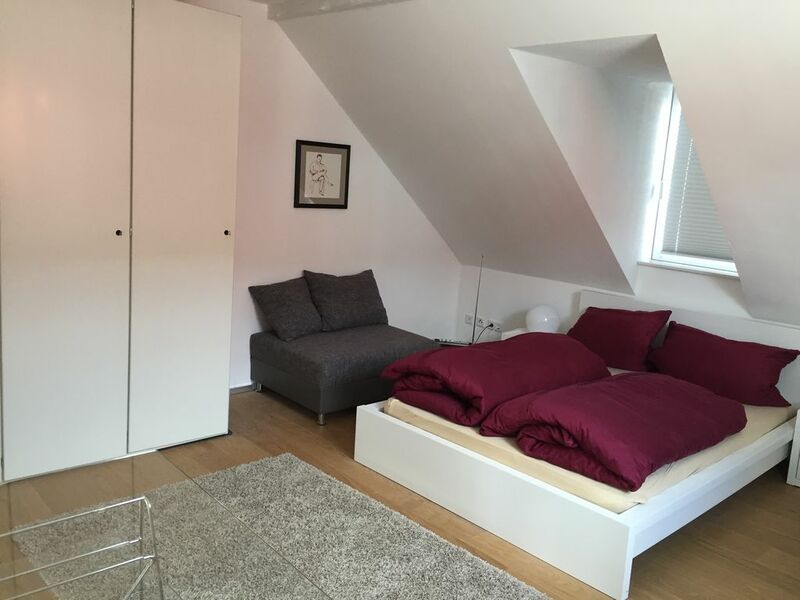 Newly renovated in 2017, the attic apartment is only 500 meters away from the railway station and the city center. Ideal for a city trip to the beautiful baroque city, as all the attractions are within walking distance. Also a good starting point for trips to the Rhön. For longer rentals, B for business travelers we offer substantial discounts. The apartment has been tastefully furnished and is equipped with everything necessary for a pleasant stay. Schöne große Ferienwohnung, sehr gut ausgestattet. Die Vermieter sind sehr nett und unkompliziert. Wir kommen gerne wieder. Vielen Dank für die nette Bewertung. Schön, dass Sie sich bei uns wohlgefühlt haben. Wir würden uns sehr freuen, Sie irgendwann wieder als unsere Gäste begrüßen zu dürfen.